The American writer and scientist considered one of the greats of Science Fiction. 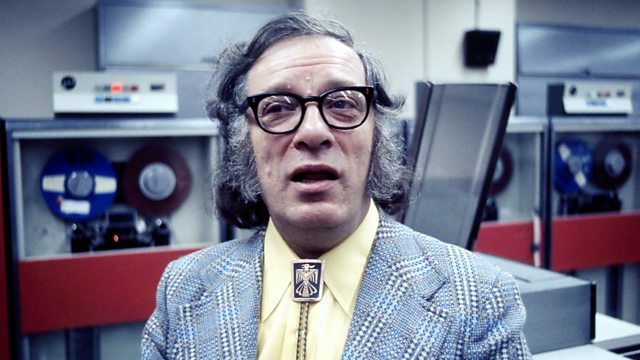 In May 1942, the American Isaac Asimov published the first instalment of the Foundation series, which would go on to become one of the most popular works of science fiction ever written. Foundation asks big and hugely imaginative questions about the predictability of human behaviour in a space-age future. Simon Watts introduces excerpts from BBC archive interviews with Isaac Asimov and an early BBC dramatization of the Foundation series.